Topic content: Big Data infrastructure and services in e-business. Projecting Big Data solutions for companies. Trends in Big data. Topic content: Development of Big data solutions over non-relational databases. Mongo DB. 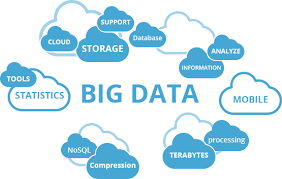 Topic content: Development of Big data solutions in Apache Hadoop ecosystem. Hadoop and Hadoop tools. Topic content: Big data analytics and knowledge discovery. Big data analytics in real time. In-database analytics. Using Big data in e-commerce, internet marketing, e-government, e-health, e-banking. Analysis of social networks. Sentiment analysis. Course is free of charge for all participants. Theoretical and practical teaching will be organized in cabinet 304 at Faculty of Organizational Sciences. All the participants are obliged to take a project related to the areas within the course.